How quickly time seems to be passing by at the moment – I’m sure this is a good sign! Tonight is the PTA Ball and I very much look forward to seeing many of you there. I’m sure it will be a lovely gathering of our community and I promise to limit my ‘dad dance’ moves to the bare minimum! 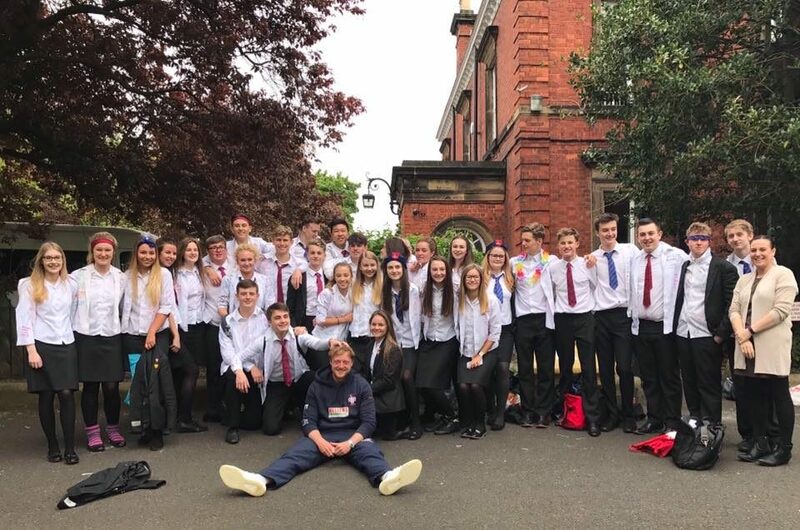 Today we officially said goodbye to the pupils in Year 11. As a new headmaster, winning the support of the oldest children can often be a challenge. However, I have been delighted by the boys and girls: their love of the school and enthusiasm for life has been infectious. It was also great to see some of them visit the Nursery & Infant school too, with a couple of the girls wearing their berets! We wish the boys and girls the very best of luck in their examinations. The children are working hard (including a rehearsal this Sunday) to ensure this is a show not to be missed. We’ll be letting you know how to reserve the hottest tickets in town next week but, with four performances, I’m sure we’ll be able to accommodate most of the Red House family! Thank you to those who have volunteered thus far. We are still ‘recruiting’ sound and lighting helpers (you do not need to be an expert!) and any further sponsorship would be appreciated.